New Zealand is without a doubt one of the most beautiful countries in the world but when it comes to VPN support it’s often forgotten. Tucked away in the corner of the world many of the major VPN services often overlook New Zealand which can make finding a VPN service incredibly difficult. Let alone trying to find the Best VPN for New Zealand. 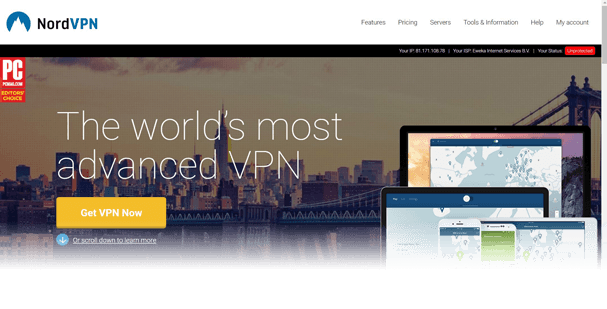 Our favourite New Zealand VPN at the moment is NordVPN but there are a few other good choices available too. We’ve been looking at a range of VPN services that at suitable for New Zealand and weeded out the poor services to bring you this 2018 Top 5 list of Best VPN services for New Zealand. In this guide you’ll discover which VPN services are suitable for use in New Zealand not only saving you time searching around but also saving you money. NordVPN is currently our favourite VPN service for New Zealand and not just because of their dedicated New Zealand servers. VPN servers are available in New Zealand and they’re optimised for P2P. If you like to download privately from Torrents and want to protect your online security at the same time then they certainly tick this box. The service uses 256-bit military grade encryption which is about as high as you can get helping you protect your privacy online. With greater powers being given to the GCSB meaning more snooping, NordVPN lets you take back control of some of your online privacy. There are tons of nearby VPN servers in Australia and Asia so if you want to hop outside of New Zealand internet restrictions and website blocks that’s just a click away. With apps for Android, iOS, Windows and Mac it’s also easy to get connected on any device. If that alone isn’t enough then the fact you can use the one account on up to 6 devices at the same time and there’s a 30-day money back guarantee should surely peak your interest. If worldwide VPN server access is what you’re after then make ExpressVPN your first port of call. There are VPN servers in more than 94 countries across the world in more than 148 different cities. VPN servers are available in New Zealand with 6 different VPN protocols available including OpenVPN, SSTP, L2TP, IKEv2 and PPTP. If you’re a Netflix fan then the service will allow you to watch American Netflix and gain access to a whole host of extra content with your Kiwi Netflix account. On top of that you can access other TV services from around the world such as BBC iPlayer from the UK, 7Plus from Australia and more. We especially like the 30-day money back guarantee available on the service which is one of the longest available and gives you plenty of time to test the service for your needs. There are also apps for Android, iOS, Windows, Mac, Linux, Amazon Fire TV and even a selection of Routers. IPVanish is a US based VPN service that hasn’t forgotten about New Zealand users with their Auckland based VPN servers. Alongside New Zealand there are servers in both Sydney and Melbourne in Australia and all over Asia including privacy-friendly locations such as Hong Kong. Further afield there are 60 countries across the world supported with more than 1000 VPN servers in total and over 40,000 IP Addresses available to help you protect your online privacy. IPVanish is a US based company but they claim to store absolutely no-logs of your activity nor any of your connection details. This allows you to add an extra layer of privacy to your internet connection. The service can be used on up to 5 devices at the same time and there’s a7-day money back guarantee if you’re a bit apprehensive. Private Internet Access is one of the most well-known and respected VPN services in the world trusted by millions of users. They have VPN servers in 28 countries across the world and while it isn’t quite as many as some others there are servers in New Zealand with nearby Australia also covered. All other major locations such as the US and UK also have good server support. The service claims to store no activity logs which helps you stay private online and is one of few providers who has had these claims put to the test in multiple court cases in the US. The service is one of the cheapest available but you get a lot for your money including 5 concurrent connections, advanced encryption options and a 7-day money back guarantee. As well as the standard payment options, PIA also allows you to pay using gift cards which helps anonymise your financial transaction. 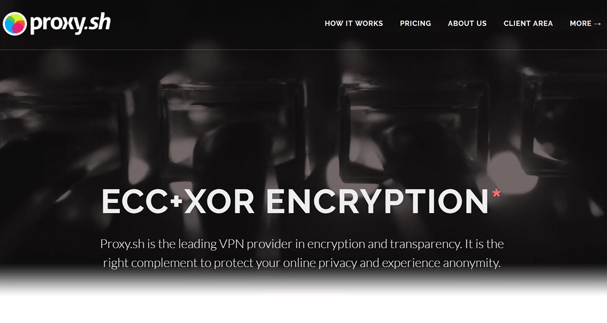 Proxy.sh is one of the most advanced VPN services in terms of the encryption they offer and while they don’t have quite as many New Zealand servers as others there are definitely reasons to consider them. They currently offer 2 servers in New Zealand with more nearby in Australia and plenty of other countries across the world. There’s even an ultra fast network available in both Singapore and Japan. The service offers some of the most advanced encryption options such as the ability to use Xor and ECC. Plus they also have additional security features such as a Warrant Canary and Transparency Policy which is not common in the VPN market. 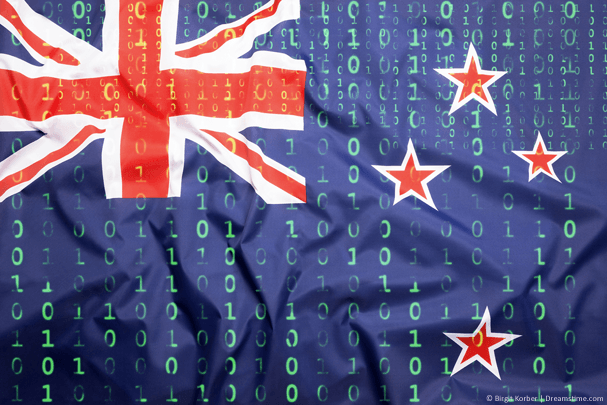 If you’re a bit of a techie and are looking for some extra options to help you secure your online privacy then they’re definitely worth considering if you can overlook their fewer Kiwi servers. If you find they’re not for you then they claim to offer an unlimited reasonable period money back guarantee. With VPN providers numbering in their 1000s it’s often hard to choose regardless of what country you’re in. Unfortunately though it’s even more difficult when choosing for New Zealand because not all VPN services support the region and those that do can often be under-resourced or downright slow. We’ve done the hard work for you in this guide and whittled down the many providers to just five. Our favourite is NordVPN but any of the five recommended above will all work well in New Zealand. It’s important to remember to do your own research and not just take our or other sites word for it. For this reason we strongly recommend taking advantage of the money back guarantees on offer from the providers above. Sign up, test the service for your specific needs and if it’s not suitable then get yourself a refund. You really can’t go wrong that way. The reasons for needing and using a VPN in New Zealand are many and varied but below we’ve listed the most common. This however isn’t an extensive list and there are hundreds more good reasons on top. It goes without saying that a VPN is best for protecting your online privacy, be it from pesky hackers, large corporations or even the government itself. With the GCSB getting ever greater powers and New Zealand being part of the inner-circle group know as “Five-Eyes” which also includes the US, UK, Canada and Australia you can be sure that your online usage is being spied upon. Not necessarily by the New Zealand government, but one of the other four partners of the network. A VPN will likely never protect you from all government surveillance, especially if you’re of interest to them, but for the average Joe it allows you to protect your privacy as much as is physically possible and stops your general data being vacuumed up en masse. TV services in most countries are controlled by a select few networks and New Zealand is no exception. If you want to access more TV content then a VPN allows you to unblock streams from overseas. Some of the best content comes from the US, UK and Australia and often takes a long time (if ever!) to arrive on Kiwi shores. With a VPN you can access American Netflix, BBC iPlayer, Stan and a whole host more content from TV providers all over the world. If TV access is your main reason for using a VPN then make sure you check the VPN service you sign up to has servers in the country of the content you wish to access. New Zealand like most countries blocks access to a whole host of websites. Often these are torrent websites that allow access to copyright material. However, in not all cases are the websites “illegal”. Often false-positive blocks on your ISP can lead to innocent websites being caught up in the block. As a VPN disguises your internet traffic and allows you to hop outside the virtual borders of New Zealand you’ll be able to access all sorts of websites even if they’re wrongly blocked in New Zealand. The most common culprit for exposing your user-details or online privacy is when using Wi-Fi connections that you have no control over. This includes Cafes, Public Libraries, School, Work and more. When connecting your personal devices to these networks it’s possible that what you view, read or send can be accessed by others. A VPN allows you to bundle all your usage up into one unreadable package so anyone else on the same Wi-Fi network who wants to snoop on your business won’t be able to. We understand searching for a VPN service for New Zealand can not only be time consuming but also confusing. Without question a VPN is essential for use in New Zealand, not only to protect your privacy but also to open up a wealth of TV content and a hundred other purposes. Our recommended VPN service for use in New Zealand is NordVPN but the above five are our Top 5 choices and no matter which you end up choosing they’ll all be suitable for use across NZ. All that’s left for you to do is select one of the above or click the button below to get our recommended service.